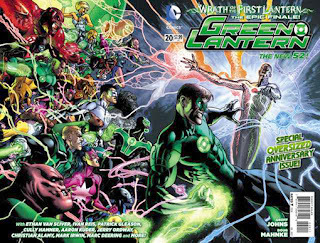 • PLOT SUMMARY: "Wrath of the First Lantern" Part 13 - It's the final battle against the First Lantern and the Guardians in this, the extra-sized finale of Geoff Johns' historic run on the title! Plus, don't miss a special retrospective on Geoff's run on GL! (W) Geoff Johns. 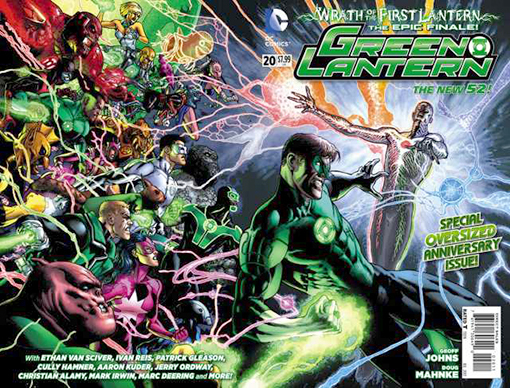 (A) Doug Mahnke, Christian Alamy, Keith Champagne, Marc Deering, Mark Irwin, Wade Von Grawbadger, Tom Nguyen, Patrick Gleason, Cully Hamner, Aaron Kuder, Jerry Ordway, Ivan Reis, Oclair Albert, Joe Prado, Ethan Van Sciver. Cover by Doug Mahnke.